If Google keeps running doodles on its homepage – and provided I keep posting them here – this site will soon become known more for Google Doodles than any other single topic. 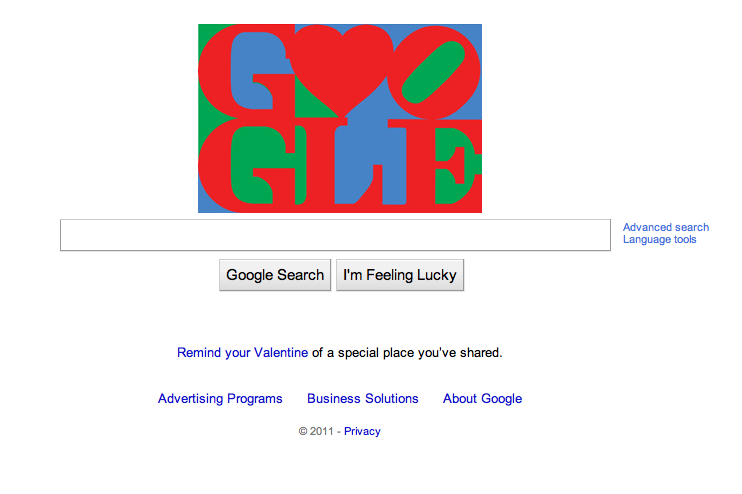 This entry was posted on February 14, 2011 at 4:46 pm and is filed under Google 2011 Valentine's Day Doodle. You can follow any responses to this entry through the RSS 2.0 feed. You can leave a response, or trackback from your own site.